The 26th class of EMBA “Management of Entreprise” programme was launched at Higher Economic School on 7 November 2018. 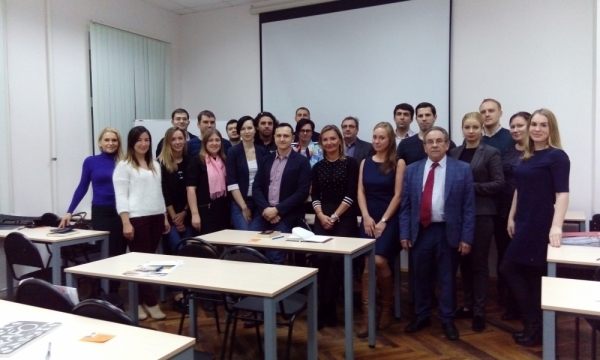 The programme is the oldest programme of EMBA level in St Petersburg that has been realized since 1993. The programme is headed (and was originally designed) by the scientific chancellor of Higher Economic School of SPbSUE, professor Valentin Galenko. We congratulate all students with the right choice of the programme and wish them educational success and wonderful business-achievements, which will definitely be supported by the team of Higher Economic School!